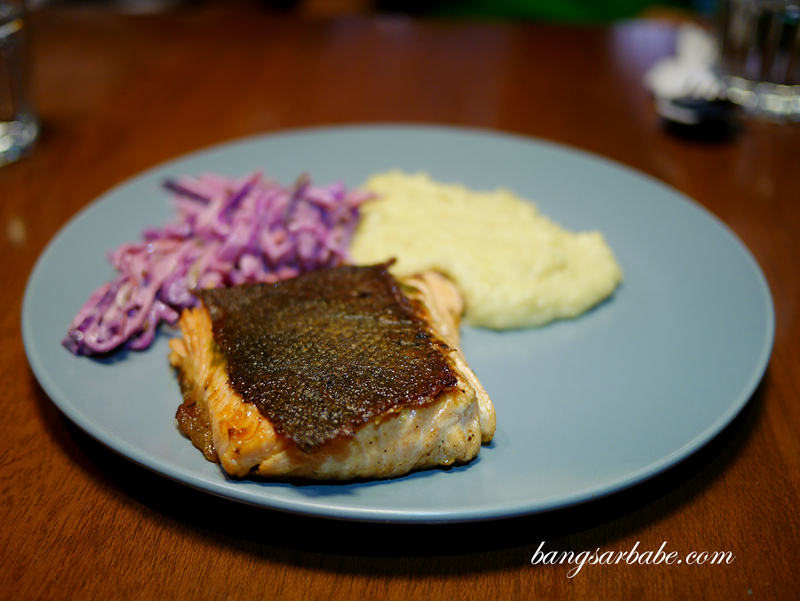 As a foodie, I find it challenging to eat cleaner after a yoga session – all the more when the yoga centre is right smack in the middle of Desa Sri Hartamas’ food haven. Sometimes in my savasana, I can literally hear meat sizzles from the Yakiniku place next door. And as I walk towards my car, I’d pass by an ice cream bar, a yakitori place and a burger joint, all begging me to waste my hard work on the mat. 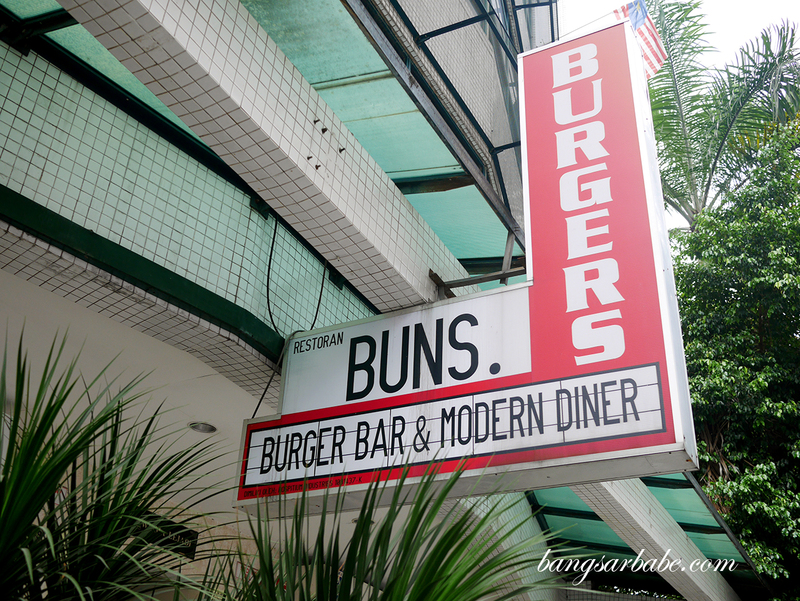 Buns Burger Bar is one of them; said to serve pretty good beef burger using grass-fed Australian beef. 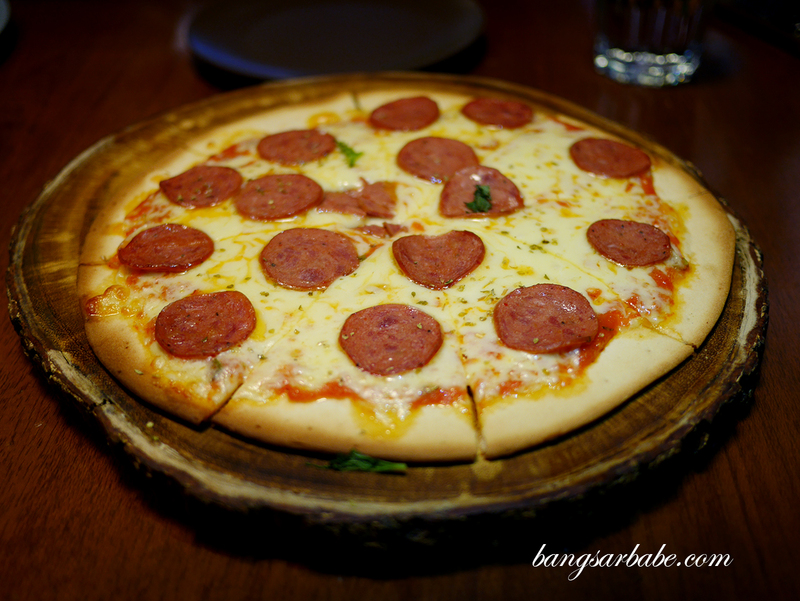 It wasn’t until a couple of weeks back that Jien and I paid them a visit to see what the fuss was all about. 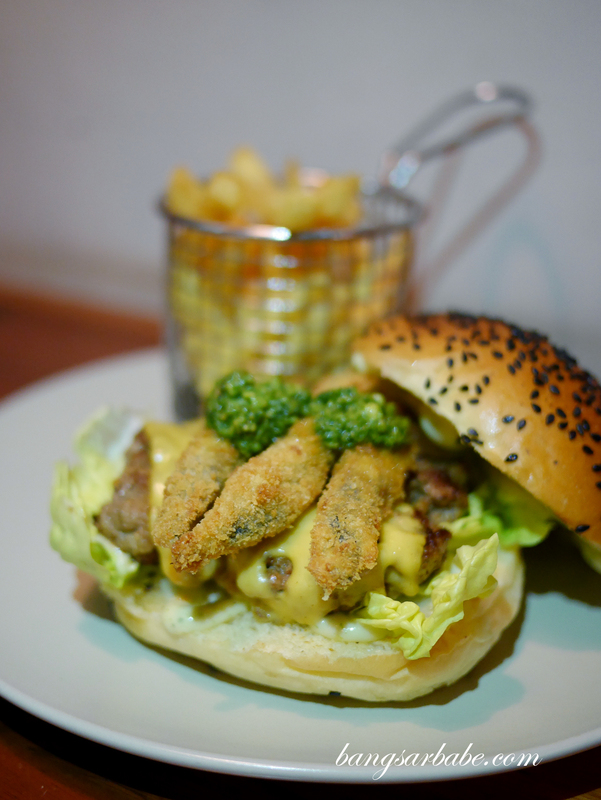 He tried Umami (RM26) which combines beef patty with panko fried portobello strips, cheddar and basil walnut pesto. I thought it was an unusual combination but it works. 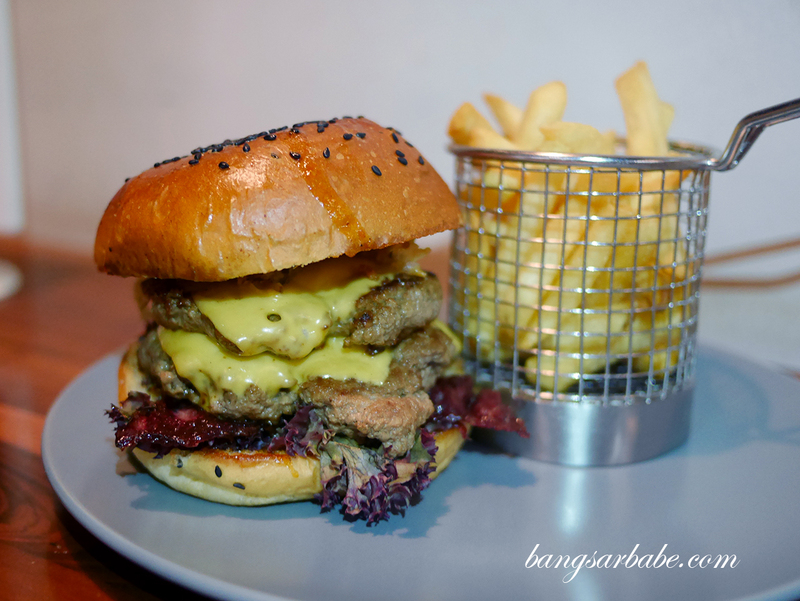 I like how the sharp flavour of cheddar accentuates the beef, and the portobello gives the burger an added texture and flavour overall. I ordered The Bull (RM25) and opted for a double patty and double cheese upgrade (additional RM10) because the more meat, the better. Or so I thought. 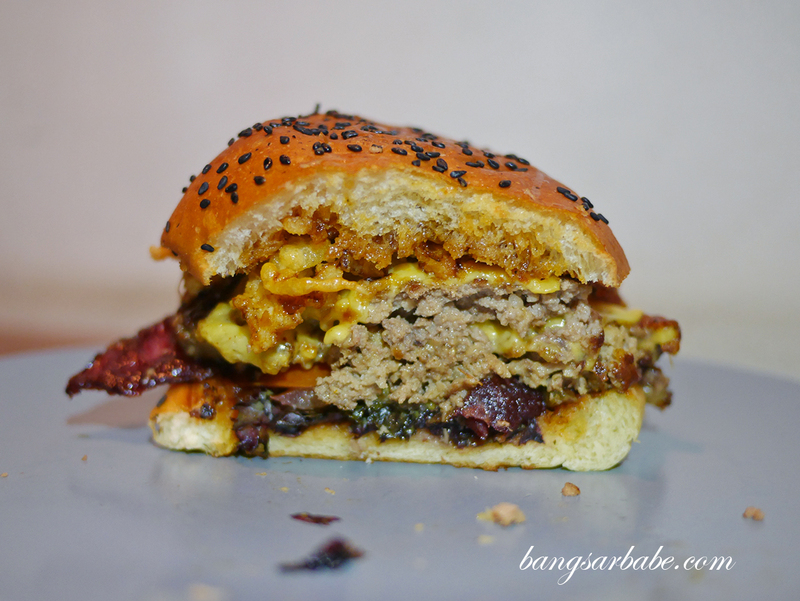 My burger comes with beef bacon, cheddar, onion rings and a smoky-sweet bbq sauce – it would have been a great burger but I was disappointed with the patty. Spot the missing chunk of patty. It’s disappointing that the patty was poorly assembled. My first bite yielded plenty of gristle, making it hard and unpleasant to chew. There was a huge chunk of it in my burger that I had to send it back. Second time around, there was no more gristle but the patty was so poorly prepared (read: loosely packed) so some parts were hollow and fell apart before the burger reached my mouth. Again, not properly assembled so it “broke” easily and some parts were overcooked. Since Jien and I had a different experience with our burgers, we decided to revisit the following weekend with a group of friends. 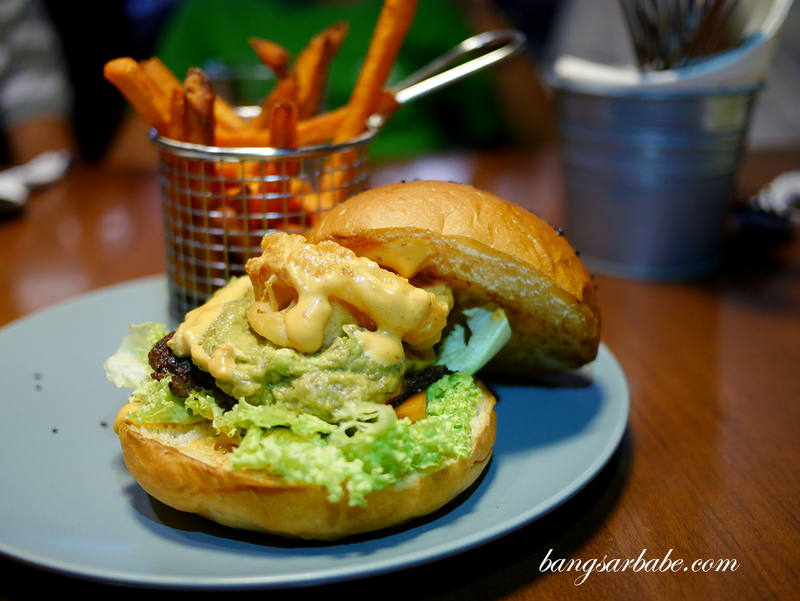 I ordered the Guac (RM25) and yet again, the patty was less that satisfactory. Because of the way it was shaped, some parts were over done and not as pleasant to eat. 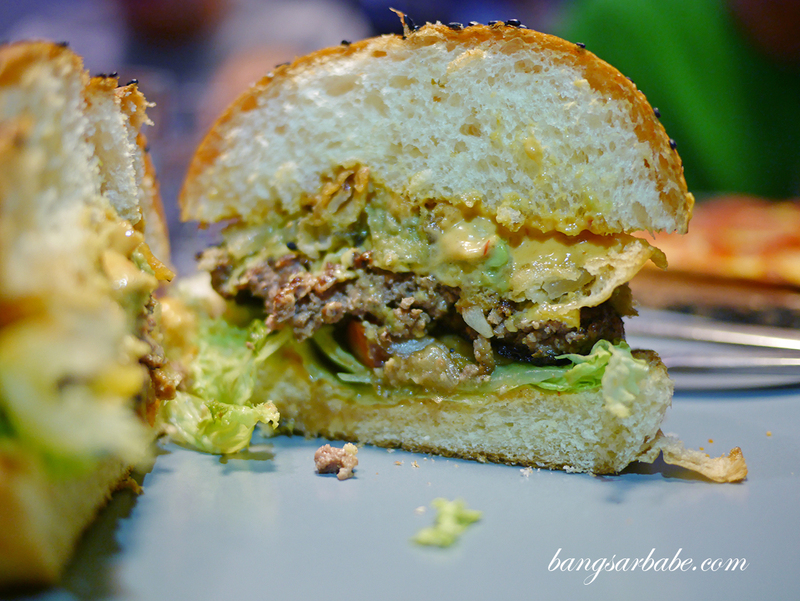 The Guac comes with guacamole, salsa, cheddar, onion rings and smokey chipotle mayo. A shame really, the patty’s consistency. 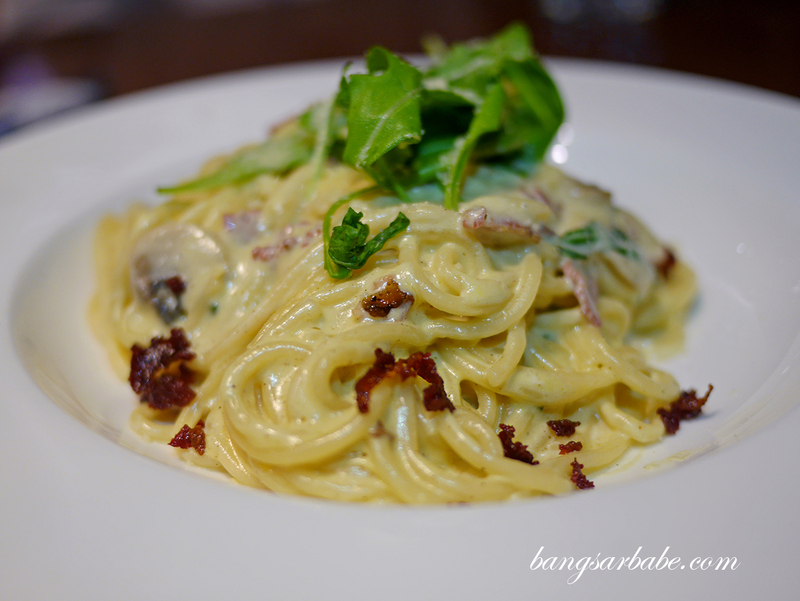 Jien had the Honey Bacon Carbonara (RM20) which was not bad – pasta tossed in parmesan cream sauce with beef bacon and arugula. 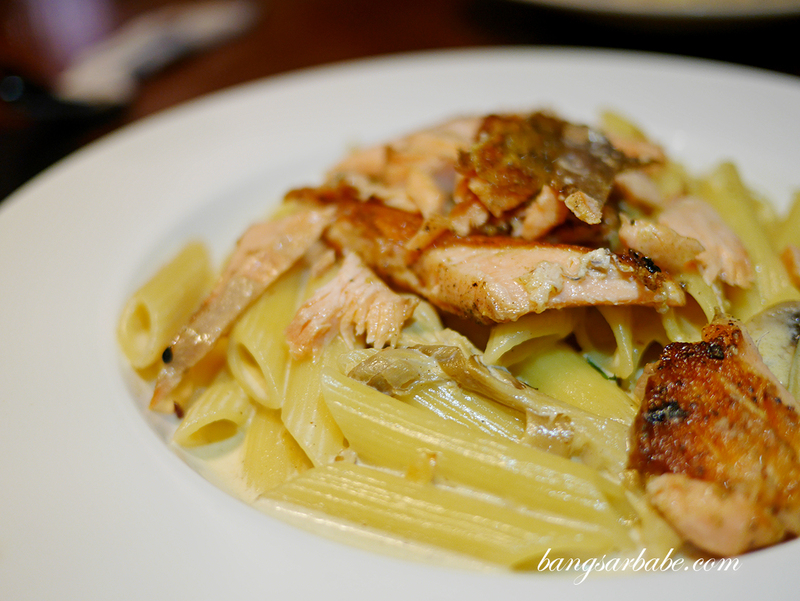 If you like carbonara, this is worth checking out. I wish I ordered this instead of the Guac burger. Don’t bother trying the pizza for the crust isn’t much to shout about. 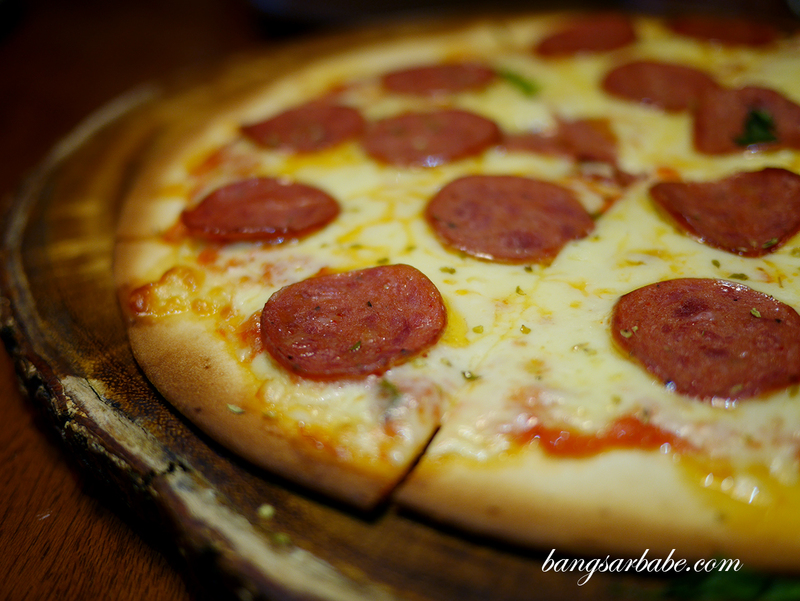 We shared a Pepperoni (RM24) with friends and it was disappointing. 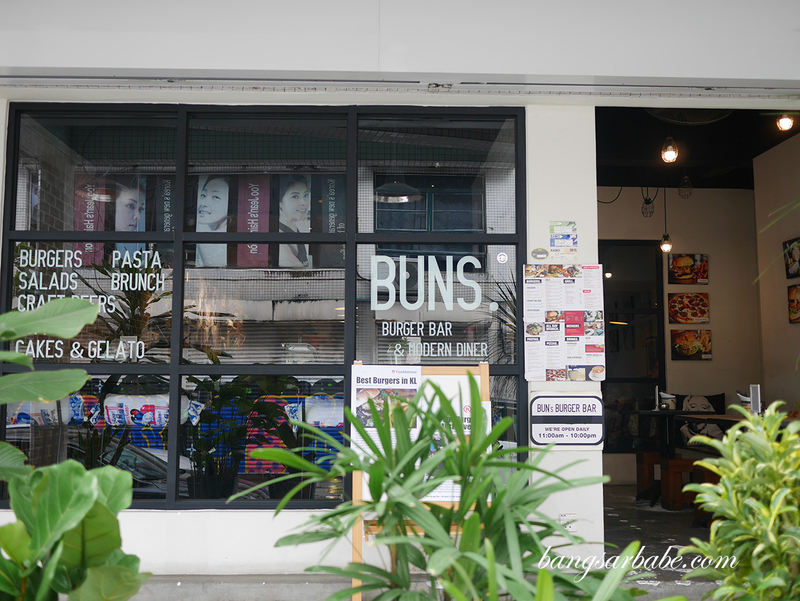 Buns Burger Bar makes their pizzas fresh so you’ll need to wait between 15-20 minutes for one. 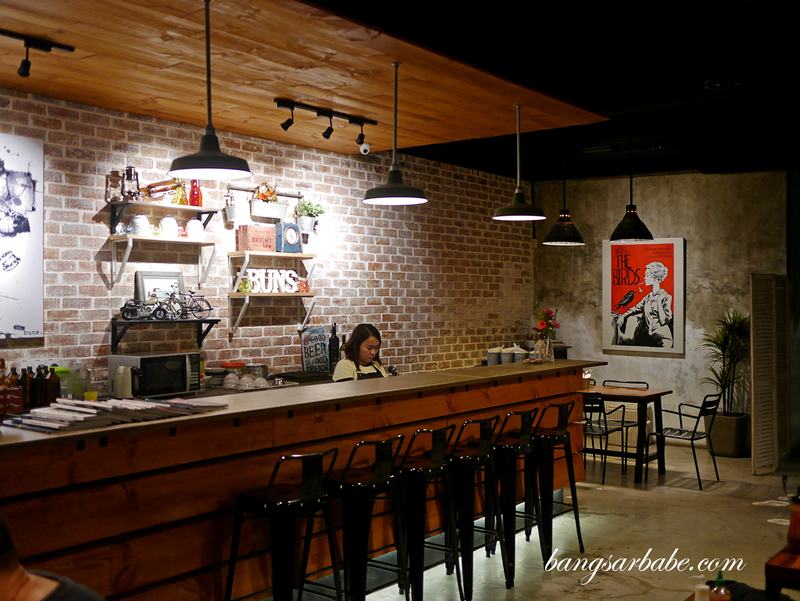 I say, skip the pizza and order more sweet potato fries (RM8), which they do well. 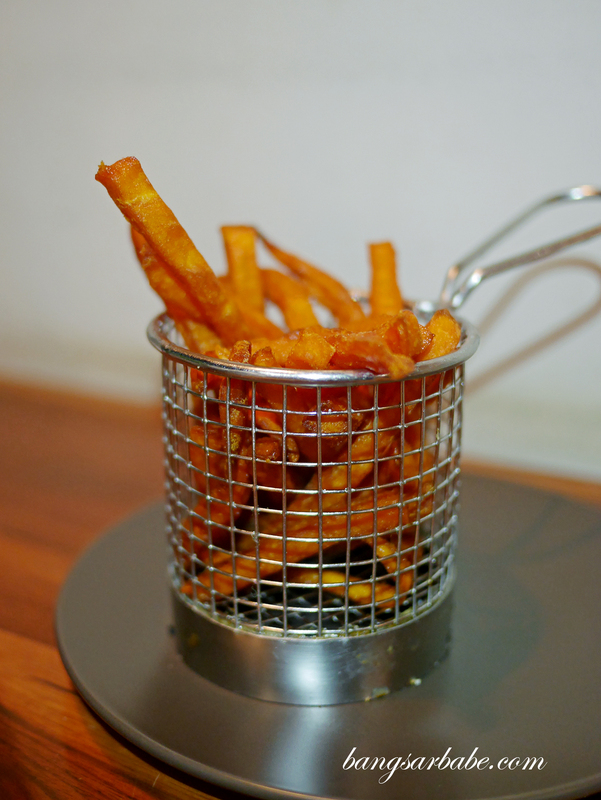 You can also opt to upgrade your regular fries to sweet potato fries (add RM2.50) when you order the burger or mains. 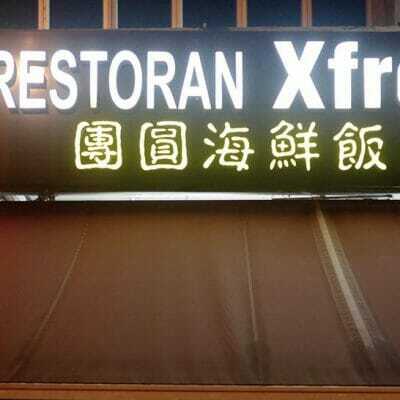 Service is alright but lacking warmth – definitely didn’t have that happy friendly “burger bar” vibe. Prices are reasonable so I’d still say give the burgers a try if you’re in the area. If the patty is made proper, you’d enjoy it. If you’re twice unlucky like me, you might be upset to be served a poorly shaped beef patty. Verdict: Try the Umani and Guac. But note their inconsistency when it comes to patty shaping.